Hey Nerdz, missed the Microsoft Windows 10 Devices event earlier this month? No worries check out the details ABC New’s Alyssa Newcomb lays out about the whole event and each new device! Microsoft’s grand finale captured the most attention, so we’ll give it to you first. The software company released what it is calling its first-ever laptop, the Surface Book, a 13.5-inch screen with 6 million pixels. “..Surface Book is twice as powerful as the MacBook Pro. It features a 12-hour battery life, company officials said. It starts at $1,499 and will be available Oct. 26. It weighs 1.6 pounds and is 7.7 mm thin. It’s essentially a clipboard, making it easy to show someone something on your screen. Microsoft has continued to up its game when it comes to making devices that function as both tablets and laptops. The Microsoft Surface Pro 4 made its debut today, boasting a 12.3-inch screen with 5 million pixels, making the resolution even higher with an even thinner screen. The release of the Surface Pro 4 comes as Apple and Google recently unveiled their latest entries into the 2-in-1 device category, with the iPad Pro and the Google Pixel C.
The Surface Pro 4 starts at $899, and will be available Oct. 26. It also comes with new accessories that will work with the Surface Pro 3 as well, including a docking port and a new light touch keyboard complete with a finger print sensor, letting power users take advantage of the biometric security in Windows 10. Microsoft’s Lumia 950 has a 5.2-inch screen while the Lumia 950 XL will appeal to large phone lovers with its 5.7-inch screen. 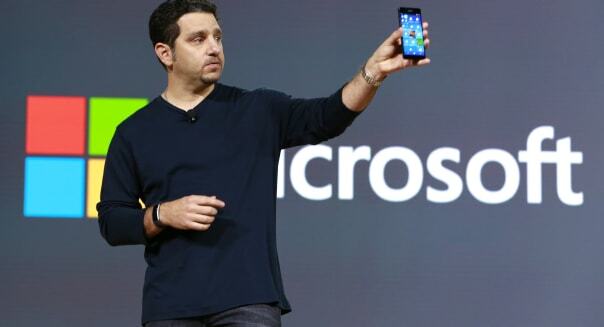 Panos Panay, head of devices at Microsoft, told the crowd. A demonstration showed how continuum, a feature from Windows 10, allowed users to seamlessly shift between their computer screens and their Lumia smartphone. Windows Hello, which works with an iris scanner to recognize a device’s user and instantly unlock it, is available in beta for the new phones. Microsoft’s new phones also come with a sharp camera and a fifth-generation optical image stabilization system making it perfect for smartphone photographers. Both devices use the USB-C charging standard and include up to 32 GB of internal storage. They’ll be available beginning next month, with the Lumia 950 starting at $549 and the Lumia 950 XL starting at $649. Head over to abc news to read Alyssa Newcomb full write up on the event. Including the new Microsoft Band and the awesome Hololens!